I HAVE FBA BOXES, WHAT DO I DO? Just sign up and request for shipping access. Once granted, two menu options will become available. For FBA shipments that already have postage labeled, select the Cross Border Delivery tab from the menu to begin uploading your shipment(s). You have the option to upload one shipment at a time or multiple boxes via import data option. Once you’ve uploaded your shipments, create an order for each day that you wish your FBA boxes to be shipped out. To ensure accuracy have your account number included somewhere on the postage, attach detailed invoice on the exterior, label the boxes with the Shipment ID, Order ID, and date that it should be shipped out. Print and include the manifest when you drop off and payment made in full. We’ll accept up to 5 days worth of shipment at a time. Sellers can only ship no more than $800USD in total per shipment to one entity, per day. 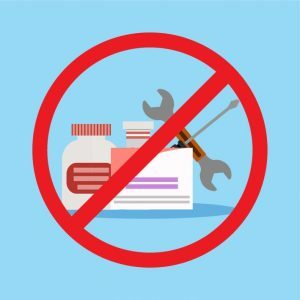 Simply put, FBA shipments going to Amazon cannot exceed $800USD (fair market retail value) per day. Fair retail market value refers to the average price that particular item is sold. Customs will check by Googling the item to get a price range for that item. Should the seller grossly under declare, their shipment may be seized, rejected, and fined. CBP will pass any fines for misdeclaration to that seller. List of all the contents within the box (item, qty, retail value in USD). The shipper’s business name and address. 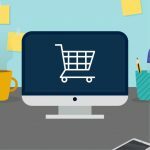 DO YOU SHIP FBA TO AMAZON IN THE US? Yes, we do! Monday through Friday! Just sign up and request for shipping access. Once granted, two menu options will become available. For FBA shipments that already have postage labeled, select the Cross Border Delivery tab from the menu to begin uploading your shipment(s). Our simple pricing structure is based on weight only, and our rates are super competitive. You can see our prices here, just under Canada to US Shipping. CAN I DOWNLOAD ALL MY TRACKING NUMBERS ONTO A FILE LIKE EXCEL? Currently, there isn’t an option to download tracking numbers and shipment info as a file like Excel. However, there is a workaround to copy all shipment info including tracking numbers and then pasting it into a spreadsheet like Excel or Google Sheets. Within your account, click the Shipments tab in the menu bar. In the submenu, you can either click Processed or Completed depending on where your shipment status is. Click the printer icon located near the upper right side. Select Print as list from the drop-down menu; this will open up a new tab in your browser to print. Click Cancel (located to the right of Save if you’re using Chrome browser). The new tab will remain with the shipment table on it. Select the entire table by dragging your mouse from one corner to the opposite corner. Copy the entire selection then paste it your spreadsheet. We will be implementing an easier feature to download your shipment info directly to a spreadsheet in the near future. DO WE SHIP TO APO/FPO (ARMY/FLEET BASES)? Yes, we ship to most shipping addresses. CAN I PICKUP MY PACKAGES AT OUR NIAGARA FALLS LOCATION? Currently, our services are not currently designed for US pickups. We make packages available to customers at our Mississauga and Markham locations in Canada. 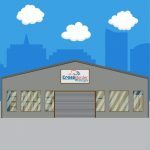 If you would like to have your package picked up in the US, we recommend having your package mailed to CBI USA (cbiusa.com) who offers a similar service, but with Niagara Falls pickup locations. We take care of all the painful paperwork and process of importing for you. 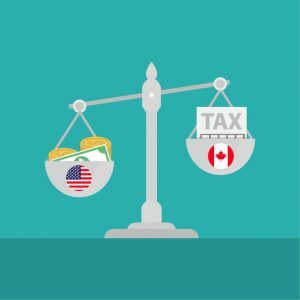 As such, goods must accurately be declared by value, description, and quantity to determine applicable duties & taxes required by the CBSA. We also inspect for any substantial damages in which we’ll let you know via email. For outbound services that are shipped from your address or from our US provided address, we reserve the right to inspect all packages to verify its contents. I CAN’T PICK UP MY ITEMS RIGHT AWAY/I WOULD LIKE TO KEEP MY ITEMS AT YOUR LOCATIONS WHILE I WAIT FOR ADDITIONAL ITEMS TO ARRIVE. HOW LONG DO YOU KEEP ITEMS FOR? We know that you can’t always come to pick up your packages right away so we’ll store them up to 30 days, skids up to 15 days regardless of location. Storage fees are applied after this courtesy period. For more information please visit our Rates Page. CAN I PRINT OFF ORDER RECEIPTS? Order receipts can be printed by any of our customer service staff at one of our 2 locations after a paid transaction. Alternatively, you can email customer service with your package ID and account number to request a copy. 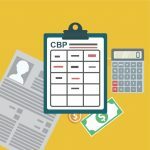 DO I NEED TO REGISTER BEFORE USING CBP’S SERVICES? 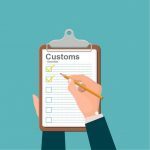 Yes, you need to register and obtain your own account number before you can send your shipments to CROSS BORDER PICKUPS (CBP). Setting up an account with us is quick, easy, and FREE!